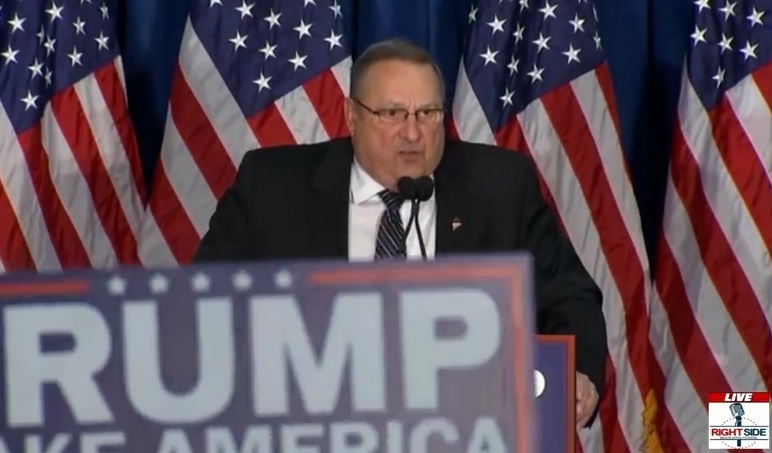 Maine Republican Governor Paul LePage endorsed Donald Trump for president in February before the Maine primary caucus. Cruz won the state with 12 delegates. Trump was second with 9 delegates followed by John Kasich with 2 delegates. This week the Cruz campaign, like they’ve done is several states, are cheating and stealing delegates from Trump at the state convention. But this time Governor Paul LePage went off on the Cruz campaign for stealing delegates. The fiery and controversial governor claimed on Friday that the Trump and Cruz campaigns had previously reached a “unity deal” to elect delegates to the national convention in proportion to results of the Pine Tree state’s 5 March caucuses. Such an allocation would deliver 12 Cruz delegates, nine for Trump and two for John Kasich, the Ohio governor. However, LePage, a Trump supporter, said on the eve of Maine’s state convention that the Cruz campaign had reneged on the deal, believing they could fill all 20 elected delegate slots on the ballot. “I can’t stand by and watch as Cruz and the Republican establishment forcibly overrule the votes of Mainers who chose Trump and Kasich,” said LePage. While delegates are bound on the first ballot according to the results of state primaries and caucuses, they are unbound on subsequent ballots if a contested convention occurs. Such votes would have nothing to do with the results from the states and be solely decided by the individual delegates. The Guardian can confirm there was discussion of a unity slate in Maine; sources disagree on whether a deal was ever reached. Here is Governor LePage’s statement on Facebook condemning the Cruz camp’s dirty tricks.